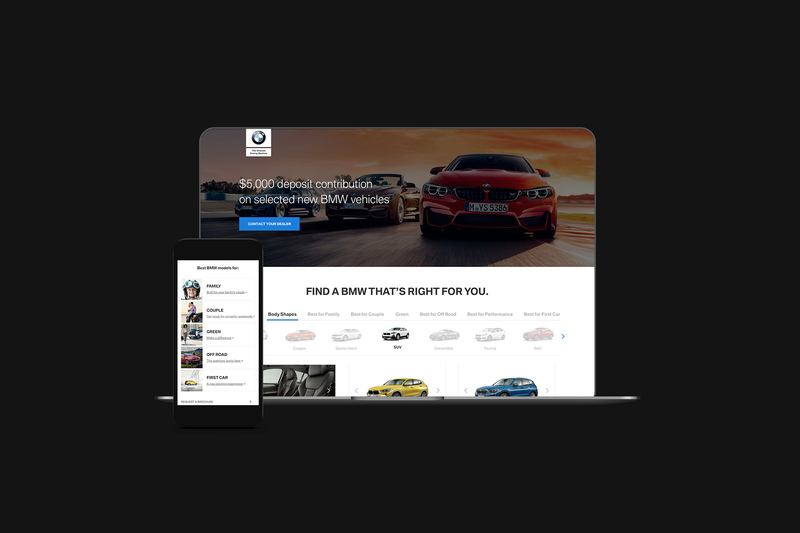 We began an initiative focused on optimising BMW’s Australian website to increase “test drive bookings” through a conversion rates optimisation program. Most automotive websites struggle to give customers the information they need to help guide their decision to contact a dealer. Many take an old school approach to their website design and functionality, losing the opportunity to engage the customer. 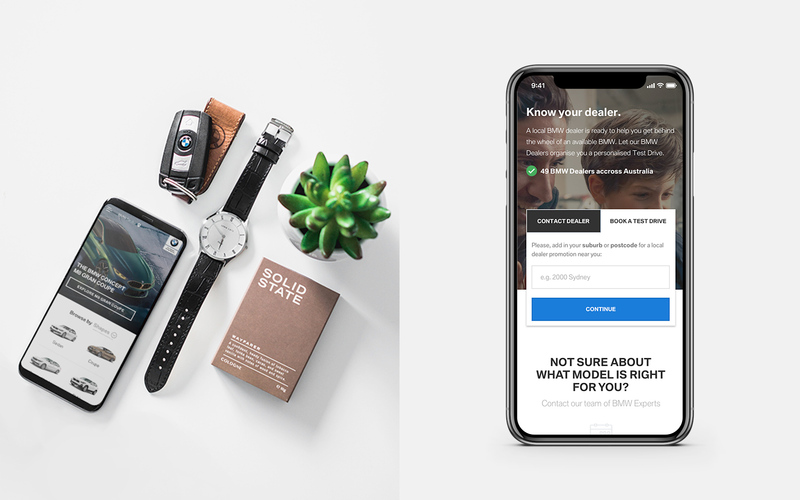 How do we take this knowledge and use it to create an experience that leads to book a test drive? 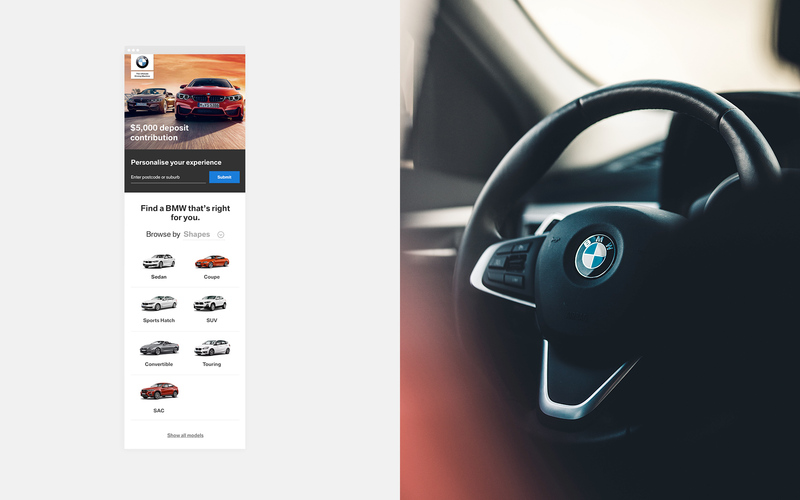 User testing on the BMW website showed that visitors were confused by the different series of vehicles available to them, creating a barrier and diminishing the chances of them booking a test drive. Our mission was also to optimise the different promotion landing pages to increase engagement. 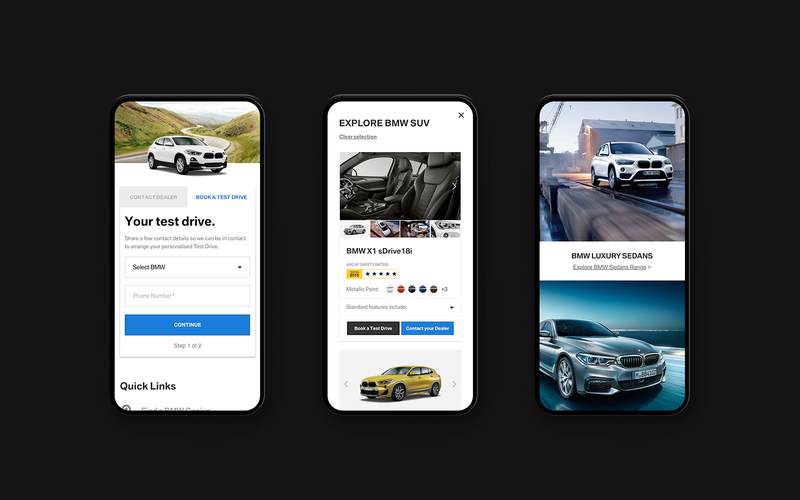 Through a creative process including writing strategy, research, wireframes and visual designs, we made it easy for customer’s to visualise the cars, understand the series options and make a decision. This kind of statistical experimentation has seen us significantly increase conversions via the website. 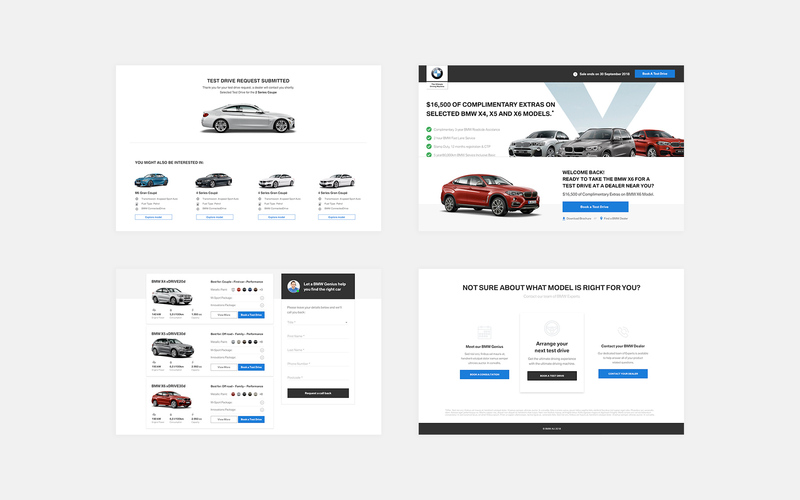 32% of visitors booked a test drive with our re-design of the homepage. 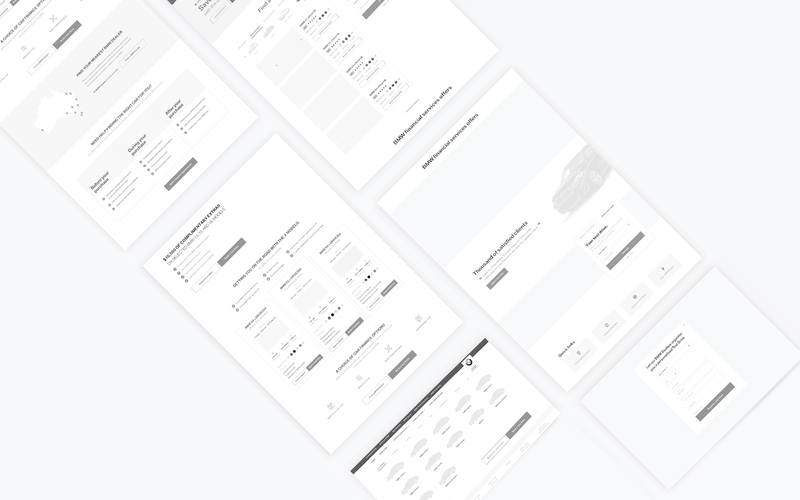 Some of the landing pages we redesigned showed more than 96% uplift in completed enquiries, and more than 104% uplift in view specific models.